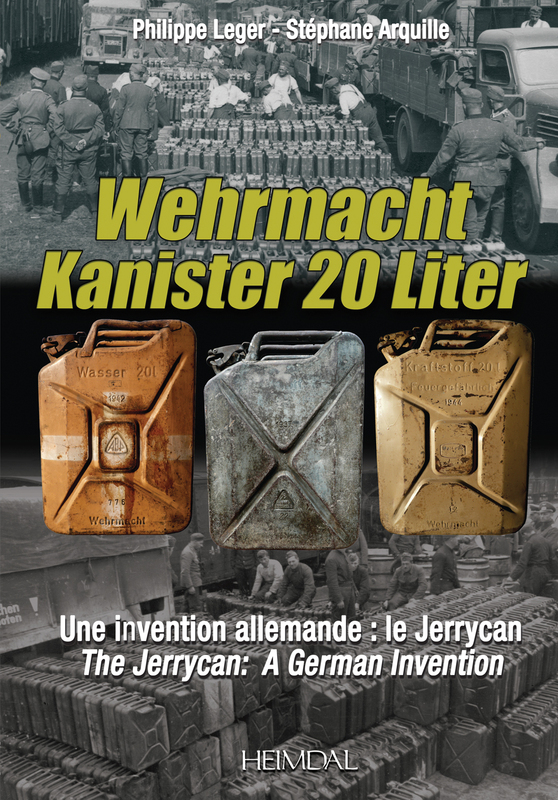 The Jerrycan for his universal use, nearly 80 years old after its birth, deserved a specific and in-depth study on its German origins. Never addressed in a single book and with a preface by the grandson of one of the industrialist of this invention, the Kraftstoff and Wasser examples are shown in all their diversity : of the most common to the rarest in a catalogue of approximately 150 models. The multiple manufacturers : the automotive OEMs, the coachbuilders, the ustensil's kitchen manufacturers, the conglomerates industrial are presented by chapter with a brief history. This book develops all the themes of this revolutionary can : from the invitation to tender of the WaffenAmt of 1936 to the post war manufacturing, from the industrialization to the use doctrine, from the accessories to the export models, from original colours and painted markings to the shortage of gazoline of the IIIrd Reich. 50 unpublished original photographs show the fuel distribution chain and the use of the Kanister 20 Liter in the Wehrmacht. Various profiles and graphics complete this book.